Medicaid Covers US is a public education campaign launched by the American Cancer Society Cancer Action Network (ACS CAN) to foster an important dialogue about the value of Medicaid in the lives of millions of Americans and their families as well as what it means for communities across the country. Before Sandy applied for Medicaid, she had gone to the hospital 5 times in just one year. Since receiving Medicaid, she hasn’t returned to the hospital once, has her health conditions under control, and has been able to thrive at home instead of living at a nursing home. Jamila was pregnant when her fellowship was ending and her new job’s health insurance wouldn’t kick in for a few months. Medicaid was there for her to help her deliver a healthy baby. As an Oncology Nurse Navigator, Lisa knows the importance of colonoscopies. But she also sees countless people who cannot get the screening they need because they don’t have access to insurance. Join the conversation about the impact of Medicaid for individuals, families, and communities. 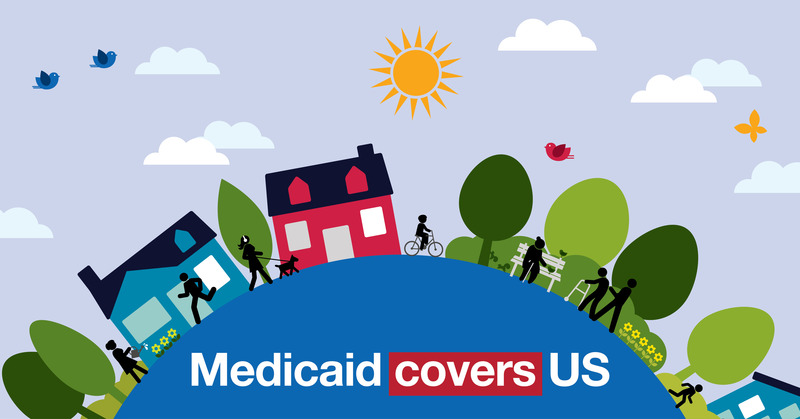 This document provides an overview and answers to frequently asked questions about the Medicaid Covers US project. In April 2019, ACS CAN released polling data demonstrating that there is strong support for the Medicaid program. Included in this memo are the key findings from this research. The resources in this toolkit are designed to help you join our effort to elevate the positive impact of Medicaid. Together, we can show the critical role Medicaid plays, not just for beneficiaries, but on communities and our nation.